CHRISTMAS GIVEAWAYS Day 2: Win Vouchers for Kerry Hotel's Red Sugar Bar! CHRISTMAS GIVEAWAYS Day 2: Win Vouchers for Kerry Hotel’s Red Sugar Bar! Aww, sugar sugar: We all love a good night out, but sometimes it’s nice to escape the hustle and bustle of LKF and go somewhere just as fun — but a little more relaxed! Enter Red Sugar. Tucked away at Kerry Hotel in Hung Hom, this chic bar offers a great selection of craft beers, wines and barrel-aged cocktails, along with more-ish bar snacks and plenty of space. 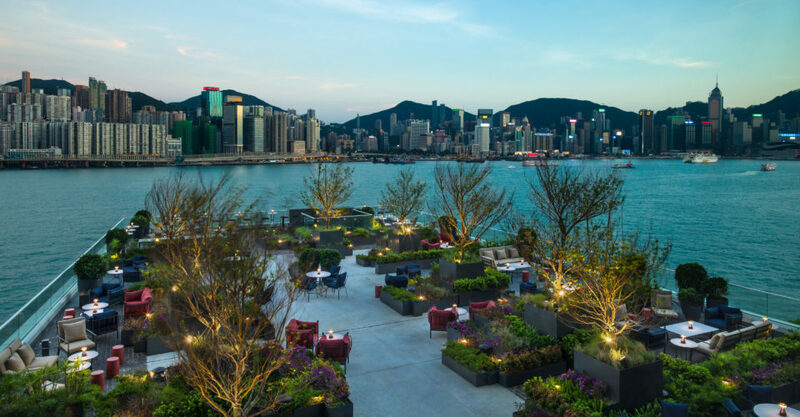 There’s also an expansive outdoor terrace with 270-degree harbor views! The bar is shaking things up with new head mixologist Nikita Matveev, who’s bringing a new lineup of fun cocktails. New concoctions include the Asian-inspired “Pride,” made with red dragonfruit and Yuzu, and “Love,” which is a mix of mango, passionfruit, bourbon and orange flower. 4 x $852 vouchers for Red Sugar. The Loop HK and Kerry Hotel are offering you and some friends a night out to try the decadent new cocktail menu! Four lucky readers will win a voucher worth $852 to spend on food and drinks at Red Sugar! Enter by December 9. Winners will be announced on December 24. Share this Giveaway with your friends for a greater chance to win! Entry form below. And don’t forget to like The Loop HK on Instagram and Facebook, and Red Sugar’s Instagram profile and Facebook page. By entering, you agree to share your details with Kerry Hotel. The original voucher must be presented to the Red Sugar team to validate the prize. Vouchers cannot be used in conjunction with any other promotion or offer. Voucher is valid for 6 months, until June 30, 2018. Voucher can be used for both food and bar snacks at Red Sugar. Voucher must be used in one single transaction. Written by The Loop HK for Kerry Hotel.